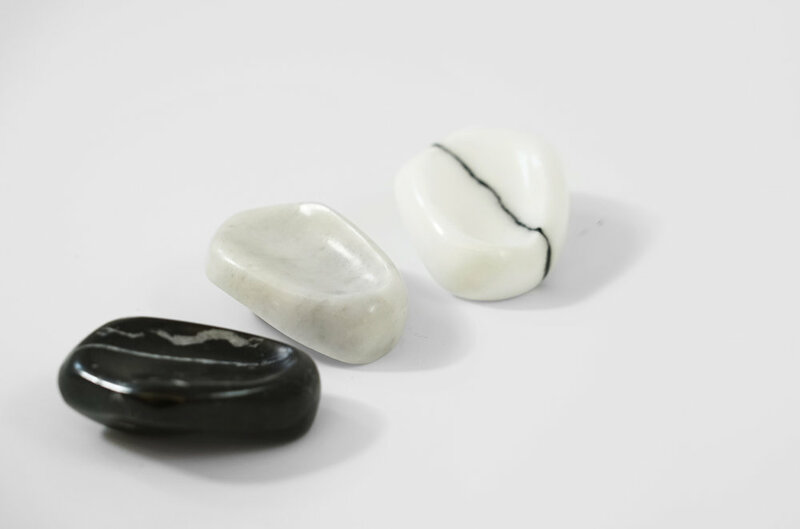 These are worry stones, artifacts to facilitate the mourning process. 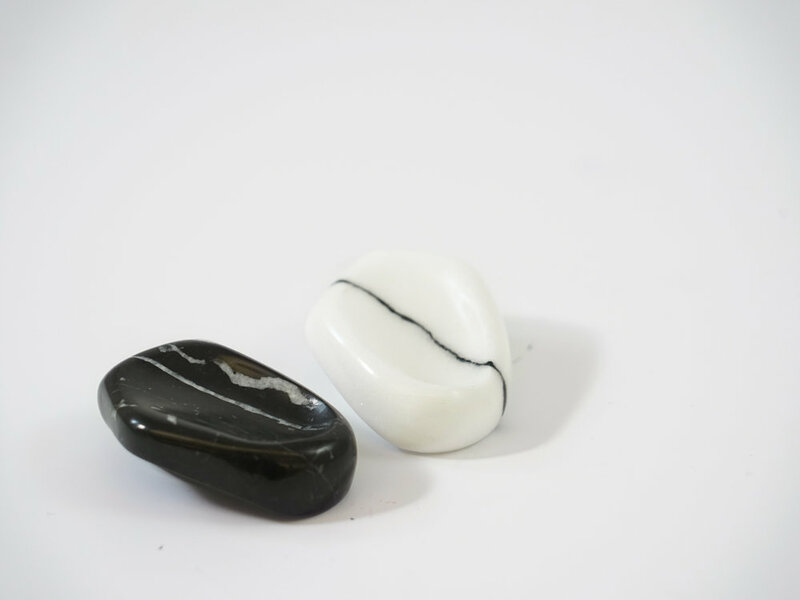 Crafted from marble remnants of local gravestone makers, each is intended to facilitate grief by allowing the mourner to interact with a symbolic artifact in remembrance of loved ones. 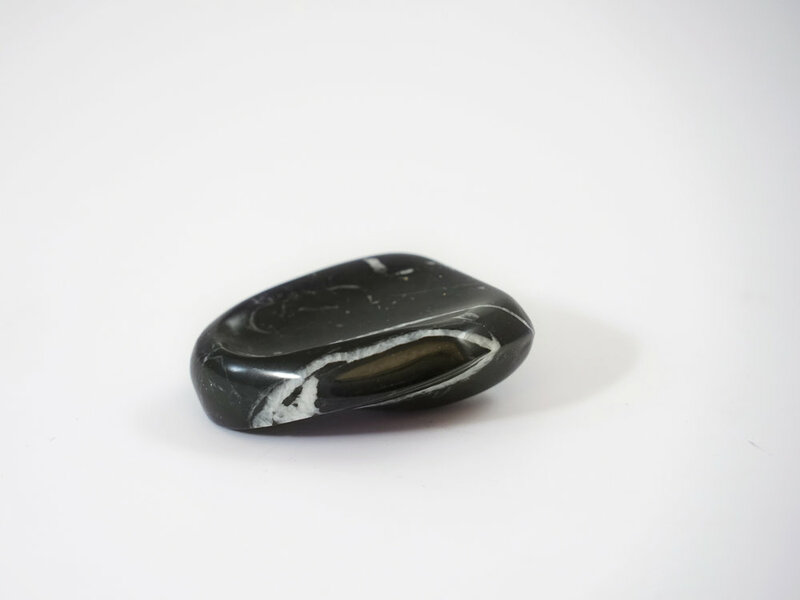 When passed on from generation to generation, these stones collect meaning and allow grievers to seek solace. 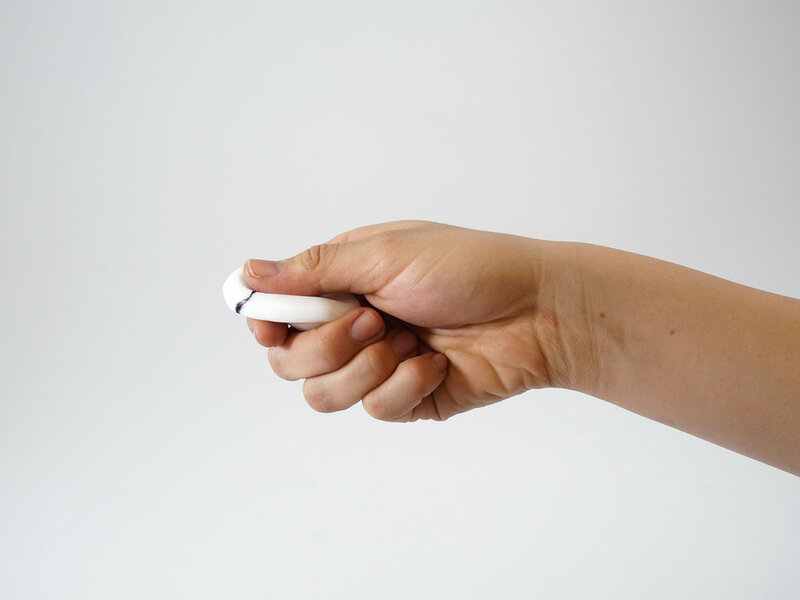 "As technology has facilitated a higher quality of life for the living, it has done the same for the dead and dying. Grief is shaped by a variety of cultures, time periods, and mediums. Some of these have proven unsustainable as they exhibit escalating cost for the grieving and for the earth. As more and more will have died, cities grapple with the real estate of death, which leads to the conclusion that perhaps underground is not the best place to grieve the dead."